Below is my translation of an interview with Tencent Investment Partnership Manager, Li Zhaohui 李朝晖 conducted last week by Business Week China. The rare interview provides a dive deep into Tencent investment division’s thinking. This is a must read for anyone wishing to better understand Tencent’s investment strategies. The article is very typical of the many longer in-depth more thought-provoking Chinese content pieces that rarely make it over into English in full. My translation is fairly respectable I feel but certainly not perfect. Zhaohui’s comments are consistent with the numerous conversations I’ve had with various Tencent staff on this topic. Q：What’s the difficult part of Tencent doing investments? A： The most difficult thing is that the expectations from the outside are particularly high. In Tencent, if we do too well, there will be a voice saying that the Tencent’s strategy is broken. This responsibility is too great. How to balance financial and strategic goals is very difficult. Frankly speaking, it is not difficult to make money, reaching a balance is difficult though. Q：What is the biggest misunderstanding of Tencent’s investment? A： Tencent’s transition into an investment company. The assumptions behind this commentary made by those outside the company is that investment companies are a bad thing, that this is a very low-end service with a lot of executive work. But being a good investor is not that simple. It’s really not easy to make a perfect business deal. It is a combination of science and art. Few people realize that we are working on some of the most complex global deals. 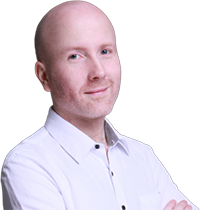 For example, the acquisition of the Finnish game company Supercell, which was the second largest technology sector acquisition in the world. It was so complex that it took a year to complete, for me and the team more than half of our time during that year was spent on this one deal. We’ve been quite innovative in how we operate these deals. More importantly, Tencent Investment is not an investment bank. How to evaluate a company, how to build and gain trust, this part requires a deep understanding of the product and cultural identity. Backing us up are many business departments that we work closely with. Without this even with stronger technical and financial means, all of our financial expertise and ability is useless. Q：What is the difference between you and VC (Venture capital) or PE (Private Equity)? A： We are a long-term investor. Not only are the funds themselves relatively long-term, there are no three-year or five-year restrictions. We pay attention to the long-term success of the products and business models of the invested companies, not just short-term performance. I just met a company last night, it was messy, this is a very early stage company that already has many term sheets, the project itself basically cannot lose money. If you look at the project from the perspective of an early stage fund, it’s a very good project, it will grow several times over in the next round and the following round. But then, whether it can attract enough users to become a company that has influence and value to the whole society, I have many concerns and misgivings. For a normal early stage fund, if you can make money than that’s great and you won’t think about things too much. For us, even if it is an A round opportunity, I have to think about the C round, the D round, and even longer time horizons. In judging the criteria, if we feel that it does not bring enough value to the business community, or that the business is very impulsive or irresponsible, we will not invest even if it is very profitable. We choose companies that are more prudent and practical in business and culture, which is important to us. Q：What are the core considerations when you make an investment decision? A： Business synergies and financial returns will of course be of concern. One big principle is that you need to generate value. It can be a very direct business merger or an acquisition to generate value, or it can be a value from the investment company itself, but ultimately it needs to generate value. Some businesses cannot generate short-term profits and high valuations, but they provide a strong moat for our business and indirectly generate value. For example, we have invested in a lot of basic internet service companies. These companies are not very profitable, and it is difficult to have the opportunity to gain explosive growth. However, it is valuable for the improvement of Tencent and the entire Chinese Internet infrastructure. This is pure strategic value. Between strategic value and financial value, we strive to find a balance, both of which will be considered. Q：What field is Tencent absolutely not going to go into? A： Tencent is working very hard in the areas where we have expertise and the areas that are strategically framed. Such as games, social, video, cloud, and more. In other fields such as the where traditional industries will become combined with the internet we will strongly support others. Q：Do you apply Tencent’s internal competition mechanism (nick-named “horse racing” in Chinese) to those outside the company also. Letting invested companies and Tencent’s own business units fight it out and later deciding who to provide more resources to? A： This is not a horse race. Internally Tencent has numerous projects emerging all the time. Before I go to see a product, I can’t visit each department and ask are you doing this, then only after carefully comparing the products finally decide whether to invest or not. Investments aren’t done like that. The same is true of outside investors. It’s impossible to visit all of the different projects, then score and evaluate them. All of our decisions are made with highly asymmetric and scarce information, and these decisions are highly forward-looking. This is the risk we have to bear. Q：Your investment in the first half of the year has exceeded the amount of last year. Why is the pace so fast? A： In the first half of the year, we made some investments in the new retail sector, which is indeed were very large. Secondly, we raised our stakes in some important areas related to us, such as e-sports. Another important reason is the cumulative effect of past investments. In the first half of this year, we did a lot of refinancing of previously invested companies. The volume of these companies is already very large, and the development is really very good. We know them well, so we participated in financing. Overall, apart from new retail, we have not entered a new field on a large scale. Q：Why do you invest heavily in retail, is in order to fight against Alibaba? A： Many outside Tencent believe that our strategy is to counter Alibaba. Whereas in fact what we see is large opportunities in O2O (online to offline). We believe that the business opportunities brought about by the combination and penetration of the internet into traditional industries will be long-term. Everyone is asking us why are you investing in offline retail, because we feel that in the future there will be no offline retail, and retail must become a combination of online and offline. The fusion of these two elements is what we see as being important. Q：What percentage of companies that you’ve invested in have failed? A： There are many companies have failed, but the proportion of complete failures is really not high. There isn’t a company in the world, like Tencent, which has been investing continuously in games for a decade and seen a very good return. The game industry is a very high-risk industry, we choose to accept such risks. The absolute failure rate is not very significant. Q：How do you look upon failure? A： Making investment means you need to take risks, so the market also needs to give us some room for trial and error. Q：When you review and look back, are there any companies you feel regret or missed? A： Many. Perhaps you could say we should have invested early in all our strong competitors, but then competition is impossible to stop. We never regret missing an opportunity, because this is the fun of business, not just the fun of investing, but also the fun of Tencent as a big company that it can grow in a fiercely competitive environment. Only when our competitors are strong will Tencent also likely become stronger. When we do miss an opportunity, it only inspires us, strengthens our resolve and enthusiasm to capture the next even bigger opportunity. Q：Do you think that the outside world is looking at Tencent’s investment with high standards? A： I am especially grateful to everyone who is holding us to such high standards, which shows that we have some track record. Of course, we also spend a lot of time to review and reflect. We will think about what this investment brings to Tencent and what it brings to the broader business community. Q：Reflecting back have come to any realizations? A： Investment is a very complicated matter. Tencent is also a very complicated entity, we haven’t followed the path of a traditional enterprise’s development. Behind all our investments is our understanding of Tencent’s business and the ecosystem created by Tencent. In the past, we spent eight to ten years exploring and will continue to do this well into the future. Q：Has reflection has been going on continuously, or is it that this year you have reached an inflection point? A： Self-reflection has been going on for many years. Pony Ma is a very cautious manager. “Be careful” is also the long-term attitude of our department. Although we are a department that spends money, we are very cautious and pay great attention to the economic benefits, strategic value and impact on society generated by spending money. This year, due to various reasons, we have received more criticism from commentators. We will try harder to reflect on things more. A： The direction of investment will not change, it is still based around Tencent’s core business, and expanding the boundaries of that business. The other is the core principle of our investment, such as we only invest in what we understand. At the same time, we are still very sensitive to valuations, even in the situation that the markets are very hot, as much as possible we will not blindly pursue (short term) inflated valuations. Q：Why this style of doing things? A： Because our money is hard earned. When every penny in your pocket is your own, not money that someone else gave you, the mentality is completely different. Every time I talk to my colleagues in business operations, I can feel how hard they work to have earned that money, so the investment and mergers department has a great responsibility to Tencent. This means there is a very strong trust for them to give us so much money to manage. Q：Apart from capital and traffic, what value can you bring to the invested company? A： The most important value is that we can provide our experience in capital markets and corporate governance in a relationship of mutual equality and respect so that startups can go far. For early stage companies, a certain strategic decision or action in financing may determine life and death. In this situation, we can give some ideas and opinions to the startup. Tencent is a big ecosystem. We do a lot of work to connect startups with a lot of internal resources, such as advertising and cloud services. In addition, we are also working hard to help the invested companies more professionally, such as in improving their organizational capabilities. Q：What kind of entrepreneurs does Tencent like? A： The answer to this question has been changing. We are constantly asking ourselves such questions and constantly correcting our answers because the Chinese market is very special. It is a particularly large market with a lot of opportunities. The evaluation of entrepreneurs is difficult to summarize with the profile of a successful person in the past. The factors for success can be very different. On the whole, the entrepreneurs we like need to have a clear understanding of the market and a broad vision; he needs to be sensitive enough to consumers and products, and to respect the needs of consumers. We see a lot of smart entrepreneurs who don’t really know what the consumer needs, or he knows, but he doesn’t quite admit that he likes to use his own ideas to judge (the needs of) consumers. Good entrepreneurs need to have in-depth thinking skills. When you want to make a thing big enough, the challenges you encounter, the competition you encounter, and the problem you are trying to solve are very different. You need to think more about what the nature of business is and what the nature of the product is. The answers to these questions are often counterintuitive. At this time, whether you choose a longer and more correct path, or choose a shorter and faster way, will determine how far a company can go. In addition to these, we value entrepreneurs with a strong ability to execute and build teams. Q：You led the investment in Pinduoduo. How did you discover this company? A： I knew about this company very early on, but before I saw the founder Colin Huang, you couldn’t really imagine what the company was like. One of the reasons why Tencent invested a lot is because of Huang’s own judgment. I think Colin Huang is a very great entrepreneur. Q：In which areas is he great? A： His judgment on the overall business prospects, his vision and execution ability are very remarkable. So after we met him, we basically made the decision. Q：It has been highly controversial with regard to the issue of selling fakes. A： Pinduoduo actually spares no effort to fight counterfeiting. When I chatted with Colin Huang once, he went out to pick up a phone call. When he came back, he told me their office in Hangzhou was just smashed up. Because they deducted money from the merchants selling fakes, the seller directly rushed to the office and hit one of their employees. That was at the very early stage. I believe in the team’s heart, they know what is right. If they want to sell fake, it is easy to earn money. With such a large amount of traffic and trading volume, the difference between having a loose grip and a tight grip on the merchants is very big. Of course, Pinduoduo has now become a listed company. It is indeed supposed as much as possible to create a better business environment. Q：Pinduoduo’s ability to rise, in large part was because of the support of WeChat. 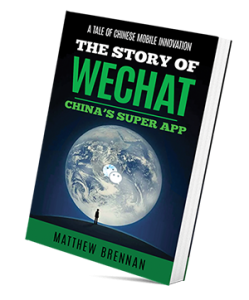 A： In fact, WeChat did not give any extra support. Pinduoduo from an early stage, even before we invested did very innovative things on the WeChat platform. Q：What is the reason for Pinduoduo’s rise in your eyes? A： Pinduoduo saw the ripe opportunity WeChat presented and correctly anticipated the opportunity social e-commerce presented, but more importantly, they saw the spillover effects of Taobao merchants and consumers’ demand for cost-effective products. Fundamentally, they saw that the essence of e-commerce business is not just about traffic. Q：Currently technology industry entrepreneurs face the problem of choosing between Ali and Tencent. How do you see this phenomenon? A： We hope to have a fair and reasonable environment and not force everyone to take sides. We don’t want to force people to take sides, instead we prefer to arouse the energy of entrepreneurs. Q：Some venture capitalists say they don’t want startups to take Tencent or Alibaba’s money too early. Will the popularity of this view force your investment to go later? A： It won’t. At such an early stage, taking sides doesn’t really matter, because nobody is clear about the future, we won’t give you things because you took sides early, Alibaba also will not give you anything. 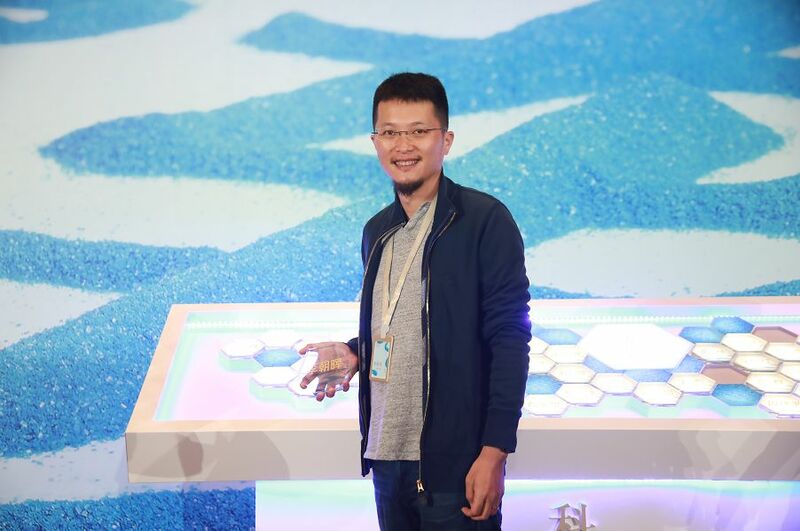 Q：Many startups have realized that China’s technology industry may be in the stage of competition between Tencent and Alibaba for a long time, and it is necessary to consider its own business strategy based on this premise. A： Everyone worries. I think startups should be better off thinking about what they should do themselves. China is a big enough market with enough unmet needs. In every mature and immature industry, there are still many opportunities, even if you are in a niche market of tailored services there’s still lots of space. Entrepreneurs should make great products with good service, users are the most important. Q：In addition to the competition with Ali, there are constantly companies that are challenging Tencent. A： It’s always interesting to meet new challenges. For the investment M&A department, we are constantly in this environment, continually trying to capture the new opportunities outside. Q：How to define Tencent’s investment? A： For an investment, M&A department is not about how you defined it, but about how you use it. Tencent’s investment department is both a pioneer and a commando, to be at the front discovering new opportunities in the market, to build awareness in advance, and on the other hand to be at the back as a defensive weapon. Our mission is to explore the future possibilities of Tencent, so we will not limit ourselves to a certain boundary, saying that I must serve Tencent’s current business or a certain strategy. Or that Tencent’s current share price has fallen, so we will invest less. Or that in the second half of the year, the situation is different, and now the strategy has changed. This is not the way we operate. Also we are not a team that only focuses on money and only looks at financial returns. All of this is a gross simplification of our work. Q：How do you define an investment to be successful? A： The economic return is of course an important criterion. After all, we are doing investment not charity. If the investments can produce strategic synergies with Tencent’s business, it will be an icing on the cake. At the same time, we measure the value of a company from different dimensions, including employment, including improvements in people’s lives and improvements in convenience, which are of great value. If a company is not very profitable, but has a lot of social responsibility, we also highly endorse this. Q：In the future, we will see what changes have occurred in Tencent’s investment? A： In the future, there will be different investment channels and investment products. For example, many of our invested companies are now listed and we are faced with new issues on how to manage portfolios more actively in the secondary market. In addition, we will always keep abreast of cutting-edge technologies and models and always think about how to enter these areas. Perhaps it seems to be a little farther away from our current business, and some may only generate value after ten or twenty years. But as a forward-looking team, if we don’t do things like this. Who will do it? Q：What is the future investment plan and investment pace? A： We will continue to invest in the established areas, while also considering the ebb and flow of the market. Q：Those outside Tencent have a lot of commentary and criticism of Tencent’s investment. What do you want to clarify the most? A： I hope that you don’t see investment as black or white. How to invest includes our exploration of many fields and businesses. Maybe after many years our exploration will be considered bad, it doesn’t matter right now, as to judge the investments as good or bad today, that’s far too early. I think the best analysis should be one done many years later, to record the story of Tencent or Tencent’s investment department with a very thick book of memoirs. This is the most authentic way to record the history, too many commentaries obscure the history.